Do you think your horse is an athlete? Horses are less physically adept at performing tasks than one might expect. They all have the same balance and muscle conditioning problems that any athlete experiences, but at the same time they are also unable to always communicate these issues. A horse can only do what it is physically able to do. With my training, riding and teaching the conditioning of the horse is key. The horse generally understands what it is supposed to be doing well before it is physically able to do it. This is where a horse can get frustrated with itself and its’ rider - the same way we can be frustrated when, for example, our instructor is telling us to do something, we know what we are supposed to do, but we can't coordinate it. The dressage training scale is designed to develop the horse’s ability for self carriage throughout the levels. If you look at a dressage test, the movements in each level are the movements needed to develop the quality of self carriage required for that particular level. For example 20m circles trot and canter (done correctly) develop the quality needed for a working trot and canter in a preliminary test. 15m circles trot and canter, leg yield and lengthen are needed to develop the quality of working trot and canter needed for a novice test. Shoulder in and travers, medium trot and canter and 10m circles trot and canter are needed to develop the collection for elementary - and so on and so forth. In this way we use and focus on the quality of the execution of exercises to develop the required self carriage for the horse. Generally speaking, it takes 6-8 weeks for the horse to develop coordination and balance to the exercise, 3-4 months for the muscles to develop, and 6-12 months for the bone and ligament density to peak. 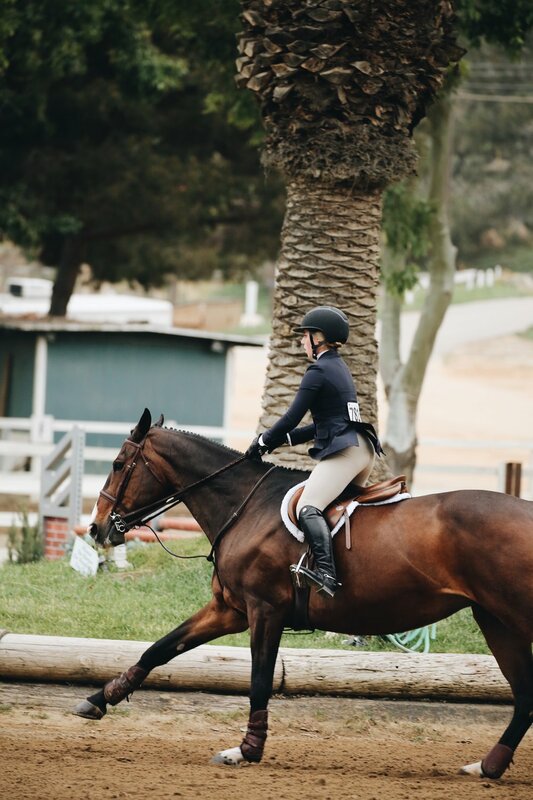 When we rush the horse’s development, we can end up with many issues (aside from the mental and emotional aspects) that impact its’ ability to continue to work at a higher level. We may find the horse seeking ‘cheating’ avenues, such as dropping the shoulder or twisting the pelvis, in an attempt to create the exercises that we, the rider, are demanding. In this action, we actually increase the likelihood of our horse becoming injured, disabled and no longer suited to riding. Allowing the time for the horse to be able to truly develop physical ensures a safer and more successful journey for you both.